Welcome to The Beginner’s Guide to Freediving, the best place to start your freediving journey. 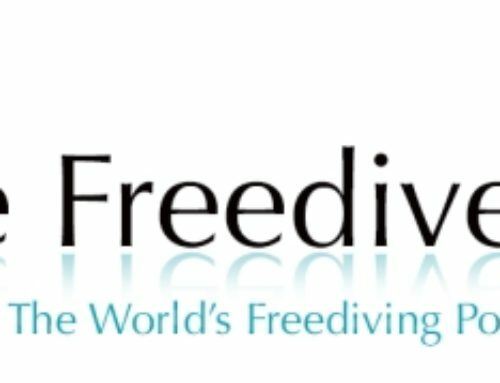 We’ve created this guide to help budding Freedivers understand the sport of Freediving and as a reference guide for more experienced divers who want to learn a bit more. When you’re starting out in freediving, you need help to figure out things like: what course to take; what equipment you need; how understand the physics of freediving; and how to learn and perfect some freediving techniques. Below, in The Beginner’s Guide to Freediving you’ll find the complete guide to starting out on your adventure in Freediving. 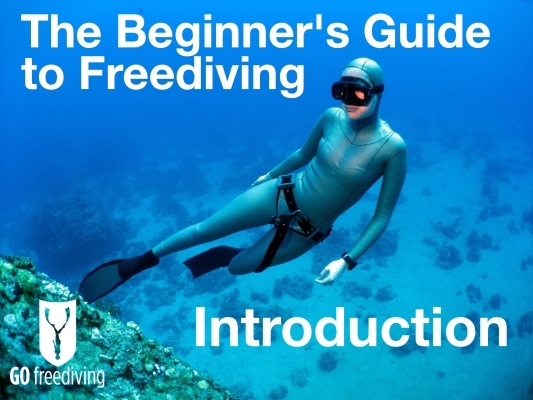 Written by Emma Farrell – one of the world’s leading freediving instructors and the owner of Go Freediving, The Beginner’s Guide to Freediving is the most comprehensive Freediving guide available online today. The Beginner’s Guide to Freediving is split into 20 parts which you can find below, covering everything a new Freediver could want to know. Dive in today. PLEASE NOTE: This guide is no substitute for expert, professionally trained tuition. Please take a freediving course and remember – NEVER FREEDIVE OR PRACTICE HOLDING YOUR BREATH WITHOUT A QUALIFIED BUDDY WITH YOU AT ALL TIMES. This chapter covers what freediving is and what it is not. 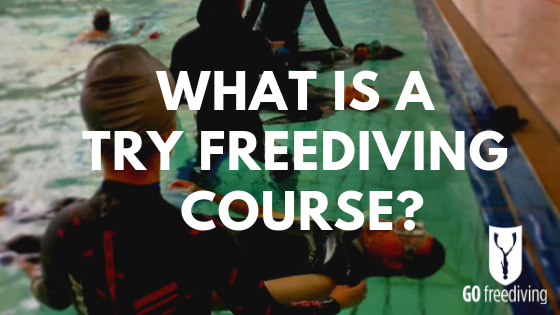 You’ll also learn about all the different freediving disciplines. This chapter is about the history of freediving, from Aquatic Apes to sponge divers, to world record holders. 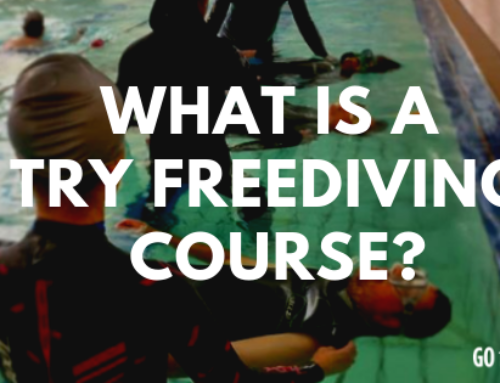 This chapter is about freediving education. Why you need to take a course, who offers courses, and how the various education systems compare. This chapter is about freediving kit. What you need, how if differs from Scuba equipment, and how to choose the right kit for you. Safety is paramount to the enjoyment of freediving and this chapter covers how to dive safe and buddy for different disciplines. This chapter is about Emma’s pet subject: Breathing for Freediving. 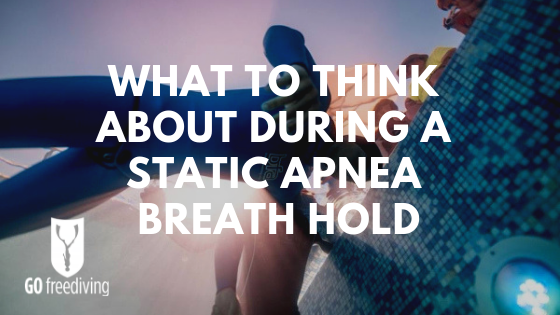 It covers how to breathe before and after a dive and how to take the most effective pre-dive breath. This chapter is about the MDR, the Mammalian Dive Reflex, and what happens when we hold our breath. Plus what side effects there can be! This chapter is all about stretching. Stretches for the whole body and specific stretches for diaphragm flexibility. 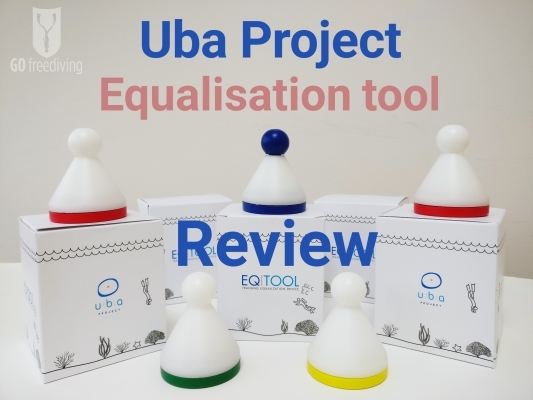 Equalisation is key to freediving and this chapter covers why we need to do it, how to do it, and how to avoid equalisation problems. 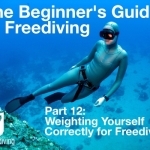 This chapter covers what sort of weighting we need for different freediving disciplines and water temperatures, plus how to set your point of neutral buoyancy for performance and safety. This chapter is about duck diving. Why the perfect duck dive is essential and how to do one with minimal effort. Read about each stage and how to put it all together for the perfect duck dive. This chapter is about finning. Why you should look at people walking before you start to fin, how a guide line can help with technique, and how to choose the right fins for you. No-one wants a black out or a hypoxic fit, and this chapter is a must-read for everyone. It covers what they are, warning signs and symptoms, how to deal with one in your buddy and how to avoid them taking place at all. 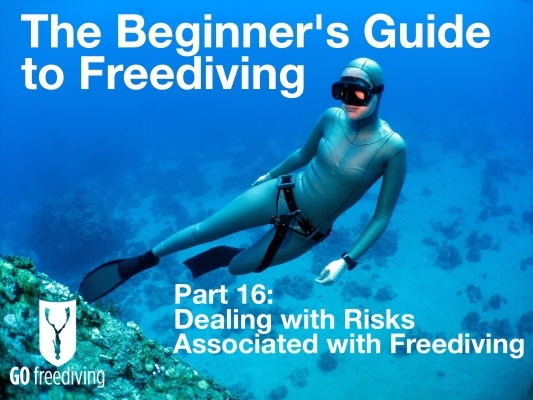 This chapter is about risks associated with freediving. Risks are divided into risks associated with your body, your diving environment, Scuba diving, water pressure and your buddy. The chapter looks at each in turn and then considers how to create a risk assessment and dive plan. This chapter is about training for recreational freediving. It looks at dry training exercises that you can do at home, including CO2 and O2 tables, fitness training with apnea walking, strength training and yoga, and wet training exercises and games that you can do in a pool. 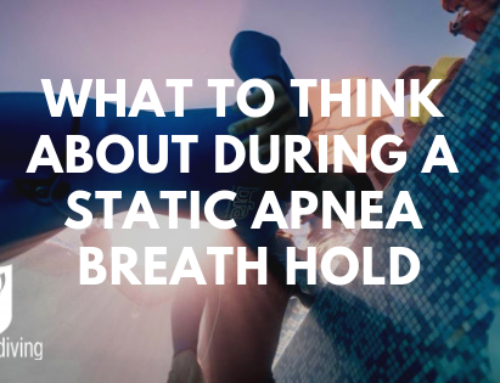 Rest and recovery are talked about as well as the overwhelming importance of the mind and how you can use this to train for freediving. This chapter is about the monofin. It looks at the history of the monofin, construction and different types. Also how to use the monofin, how to train with one and how to select the right one for you. This chapter covers Emma’s favourite subject: food! It looks at what foods help and what foods hinder freediving, as well as supplements that can help you hold your breath for longer and recover quicker. This chapter is about how to make freediving into a career. It covers competing as a job, as well as teaching, with the pros and cons of instructing and the different models for instructing, either as an individual or as part of a dive centre. The Beginner’s Guide to Freediving is written by Emma Farrell. She is one of the world’s leading freediving instructors and has been teaching freediving since 2003. She is the author of the book ‘One Breath, a Reflection on Freediving’, has written courses that are taught worldwide, taught gold medal winning Olympic and Paralympic athletes, and has appeared numerous times on television teaching everyone from Hugh Fearnley-Whittingstall to Ellie Simmonds how to freedive.